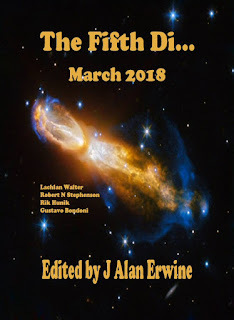 The March issue of The Fifth Di… takes a walk on the dark side with Lachlan Walter, Robert N Stephenson, Rik Hunik, and Gustavo Bondoni bringing you stories of the darker side of humanity. You’ll be taken to a bleak future where the poor are taken advantage of, a future where a branch of humanity comes back to Earth, but the encounter doesn’t go anything like people might have expected, a future where immortality brings a terrible consequence, and an effort to explore the universe that is brutally sabotaged. If you like fiction that warns you about the dangers of the future, this is the issue for you. I sold a drabble to Alban Lake Publishing's 10th Drabble Contest, Alien Brothel. For those of you that don't know what a drabble is, it's a story of exactly 100 words...no more, no less. It's not an easy feat to pull off. As the e-book editor for ALP, I've been reading the Drabbles for many years, but I never sat down and wrote one, but then I came up with an idea for this one called "Learn to Read." It was 110 words when I finished...that meant cutting 10 words, which is not easy with such a small word count. 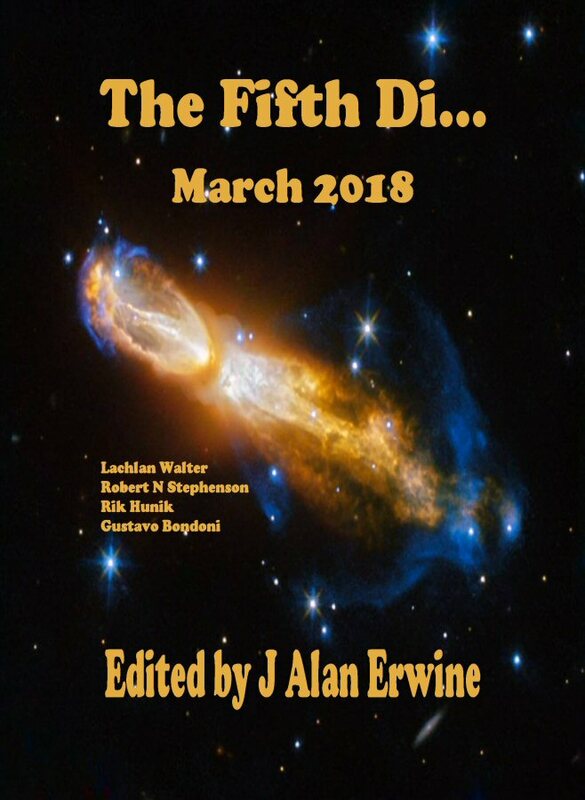 Still, I managed, and the story will appear in the anthology in early April. Back issues from 2013, 2014, and 2015 of The Fifth Di..., The Martian Wave, and Spaceports & Spidersilk are now available for download for just one dollar!!! You can download them at http://nomadicdeliriumpress.com/blog/shop and https://www.smashwords.com/profile/view/nomadicdelirium. They should also be available for this price at Amazon, Barnes & Noble, and all other on-line retailers. If they aren't yet, they will be soon. I've updated my Smashwords account so that the majority of the titles that I've released through other publishers now appear with my individual stories and collections. This includes anthologies, collections, magazines, novels, and RPGs and their supplements.